2019 Toyota Sequoia SR5 5.7LSequoia SR5 5.7L, 4D Sport Utility, i-Force 5.7L V8 DOHC VVT-i, 6-Speed Automatic Electronic, RWD, Magnetic Gray Metallic, Graphite w/Easy Clean Fabric Seat Trim or Leather Seat Trim. 2019 Toyota Sequoia SR5 5.7LSequoia SR5 5.7L, 4D Sport Utility, i-Force 5.7L V8 DOHC VVT-i, 6-Speed Automatic Electronic, RWD, Midnight Black Metallic, Graphite w/Easy Clean Fabric Seat Trim or Leather Seat Trim. 2019 Toyota Sequoia SR5 5.7LSequoia SR5 5.7L, 4D Sport Utility, i-Force 5.7L V8 DOHC VVT-i, 6-Speed Automatic Electronic, 4WD, Midnight Black Metallic, Graphite w/Easy Clean Fabric Seat Trim or Leather Seat Trim. 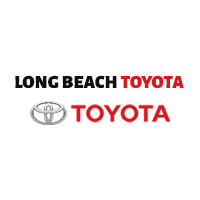 2019 Toyota Sequoia TRD SportSequoia TRD Sport, 4D Sport Utility, i-Force 5.7L V8 DOHC VVT-i, 6-Speed Automatic Electronic, 4WD, Magnetic Gray Metallic, Black w/Sport Fabric Seat Trim or Leather Seat Trim.